As you may know I am a huge fan of automating as much as possible and recently I have been really busy with completely automating the Golden Image process with ivanti RES ONE Automation. The goal is to create a new Golden Image by scheduling just one deployment Run book without extra manual tasks. This Guide will be in three parts, the first part is Preparation – Citrix Provisioning Services and Ivanti/RES ONE Automation. The second part is Deploying software – Ivanti / RES ONE software, Citrix VDA, Citrix PVS Target Device and Middleware. The third part is Optimzing/Sealing and Imaging vDisk – BIS-F sealing script and VMware OS optimization tool. What is a Golden Image and why should I create one automatically ? A Golden Image is a template for a virtual machine (VM), virtual desktop, server or hard disk drive. A Golden Image may also be referred to as a clone image, master image or base image. 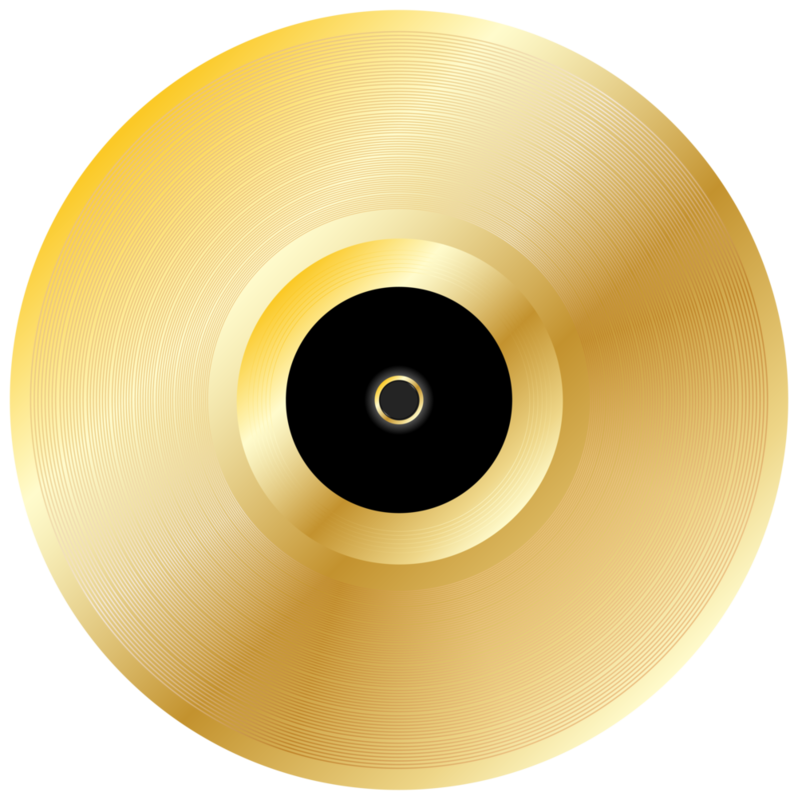 In this blog we will use the Golden Image as our vDisk in Citrix Provisioning Services (PVS). 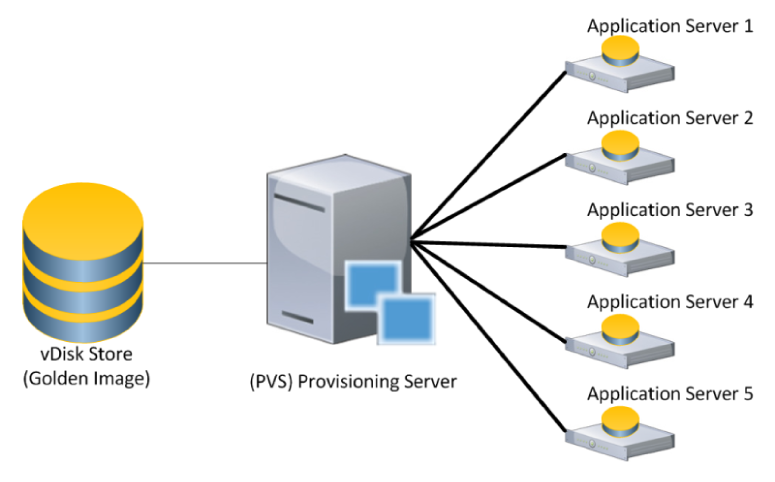 Citrix PVS lets you boot multiple devices from one vDisk. This way all your VDI’s or XenApp servers are the same and after a reboot they return to settings in the Golden Image. Because your whole VDI or XenApp environment will run from this vDisk, it’s really important that this disk is created as clean and unspoiled as possible. That’s why automating the creation of the Golden Image (vDisk) is important. Another good reason for automating the process is the fact that you don’t need to use Citrix Versioning anymore. If something needs to be changed in the disk you don’t create a new version but you edit it in the automation process and create a completely new Golden Image (vDisk) again. This way you will always know what’s in your disk and how it’s build up. Before we begin; what do we need ? A new empty VHDX vDisk named _DefaultDisk.vhdx , this must be present in your PVS store. VMware vSphere is used in this guide but you can change this to Hyper-V or XenServer. First we need to create a Target VM. This VM will be the machine on which we will create the Golden Image. Create a VM with at least 2 vCPU’s and 4 GB of RAM. Add 2 hard drives to it, one of 100GB (This will be the C: System partition) and one of 40 GB (this will be the D: Cache partition). Now make sure that your target VM can reach the VM network and the PVS network. If you have split this network then you have to add a extra network adapter. Make sure to create reservations for the MAC addresses of the adapters in your DHCP server. This way the target VM will always have the same IP so that DNS always works. When the hardware is done install your OS on the 100 GB Disk. This guide will use Windows Server 2016 as the Golden Image OS but you can of course change that. After installing Windows make sure to install your Hypervisor Tools like VMware tools. Don’t forget to format the second disk and make it the D: Cache Partition and turn the Windows firewall off. If you use computer domain name identification in automation you need to change the workgroup name to the same name as your domain. See here on the success center. If you have all these things in place we need to edit the target VM. Make sure the target VM boots from the PVS network adapter. 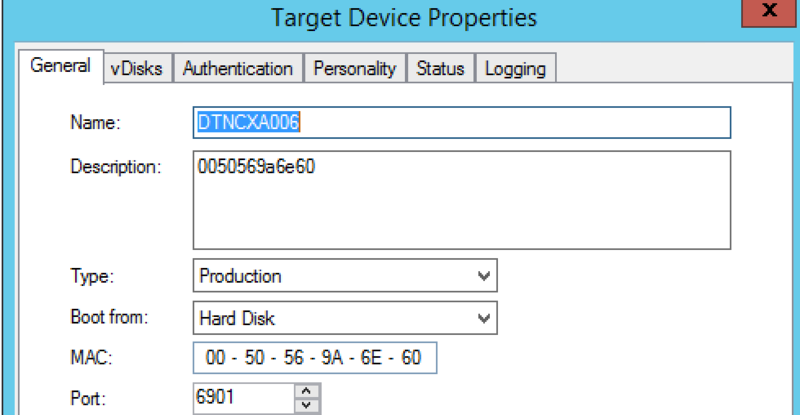 Then create a new Device in Citrix PVS with the name and MAC address of the target device (which is in this guide DTNCXA006) and set the boot from to Harddisk. 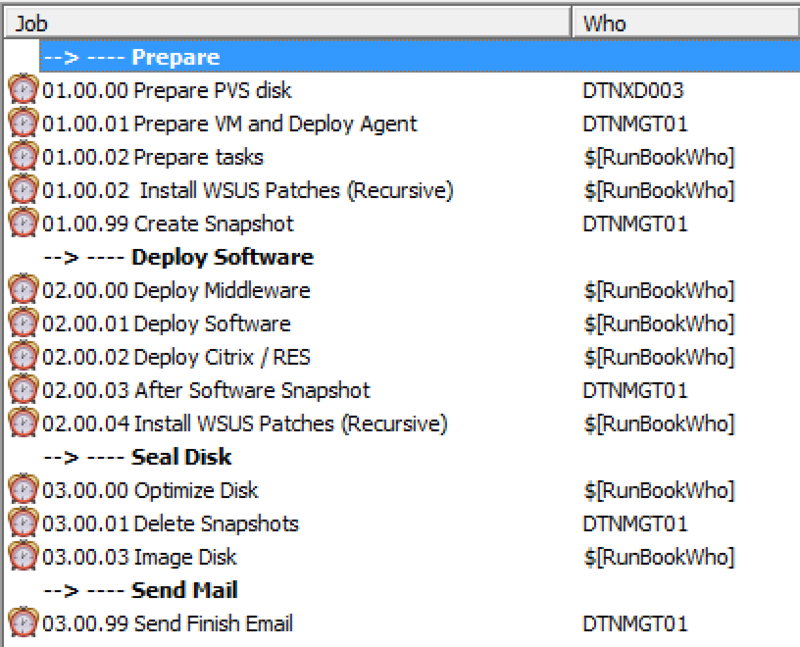 Shut down the target VM and create a snapshot of it, called Before_Runbook. We will revert back to this state every time we start the Golden Image process. TIP: You could integrate Microsoft MDT into the automation process to also deploy the OS automatically. You must run these tasks on an agent with VMware PowerCLI installed. In my guide this is the DTNMGT01 my management server. After the target VM is booted we’re going to start running tasks on the machine. This means that we’re going to need an Automation Agent on it. We can do this with the Deploy RES ONE Automation task and configure it as followed. As you can see I also added two Postpone Jobs. The first one is 60 seconds to make sure that the Target VM is booted. The last postpone job is there because after this task I want to run tasks on the agent and it can take some time before the agent comes online in Automation, so I added another 60 seconds postpone. Add to AD is a simple Automation Task called Manage Computer Properties. With this task I add the Target VM to the Domain in a specific OU. After adding the computer to the domain you must add a Reboot task. After that we need to run the module Install-WindowsFeature RDPHost. This is a great module to install Windows features and roles. Download it from the RES HUB created by James Szivos here. The feature we want to install is called RDS-RD-Server. You can add that to the FeatureName parameter. This will effectively run the following PowerShell command: Install-WindowsFeature -Name “RDS-RD-Server” -IncludeManagementTools After the script has run the module will reboot your machine. Now all we need to do is add the Domain Users to the local Remote Desktop Users group we do this with the add to local group task in Automation. The last module activates Windows to the KMS server by performing the slmgr.vbs /skms KMSSERVER and slmgr.vbs /ato commands. Now that we created all the preparation modules we need to add them into projects and then add the projects to the Deployment Runbook. We need to use a numbering system to keep the projects in the Runbook organized. I use 1 for preparation, 2 for deployment and 3 for Sealing, Optimizing and Imaging the vDisk. The first project we’re going to make is the 01.00.00 Prepare PVS project. In this project we will add the module PVS tasks. This project needs to be run on an agent with PVS console and server installed. After that we create a 01.00.01 Prepare VM module in this project. We add the revert snapshot, boot VM and Deploy Automation Agent module. Then we create a third project named 01.00.02 Prepare Task. Here we add the preparation modules, add to ad, install-windowsFeature and Windows Activation. 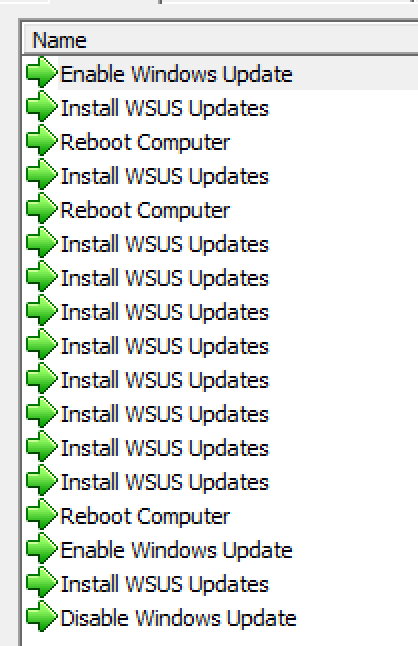 After that we create the 01.00.03 Install WSUS patches recursive project, which is a clone from the default virtual engine wsus integration project but with an extra Reboot added and Install Updates task added. The last project is 01.00.99 Create Snapshot. Here we add the After Prepare Snapshot task. Now we need to add the projects to the deployment Runbook. Make sure to set the right Agents with the right projects. Because the target VM doesn’t have an Automation Agent yet, set the task that we are going to run on the target VM on Use Run Book Parameter and then select RunBookWho. After that, go to the Runbook parameter and enter your Target VM name. In my Runbook its DTNCXA006.